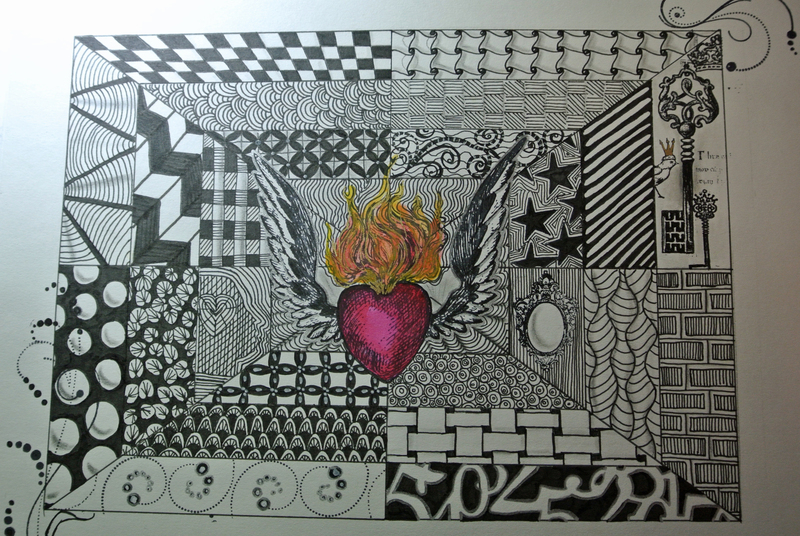 This Zentangle inspired image was created by using a stamped image of the flaming heart in the middle. I then created boxes around as my “string” and drew in structured patterns into the different sections. I then used watercolour paint to highlight the heart.